• Cosmo 1500 clad in steel. All models utilize the same firebox measuring 15”w x 13”d x 17”h. Available with top or rear venting. Outstanding design features include the “cool handle” concept which positions the handle below and away from the firebox. The sleek cast iron door has a large, curved tempered glass viewing window. The “air wash” system forces super heated air down over the interior glass to discourage build-up of smoke residue on the surface, and the locking system has a uniquely hidden “finger tip” control wheel that enables fine tuned heat adjustment. The Cosmo stove is specifically designed to burn purely and efficiently at 81%. The result is a cleaner, hotter fire with very little ash. The natural carbon dioxide neutral wood burning system gives off the same amount of CO2 as when trees are left to decay in the forest, a natural match for Mother Nature’s plan. 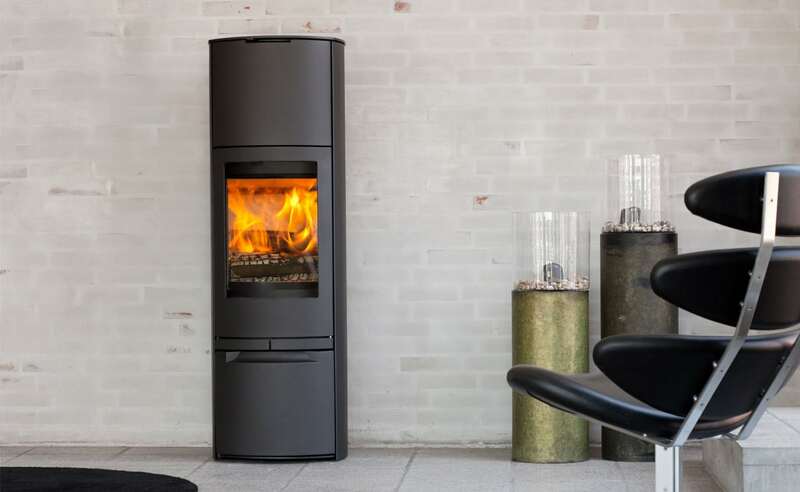 In addition, the remarkable Cosmo utilizes the unique DuplicAir system which integrates the control of air supply needed for stove lighting and combustion. 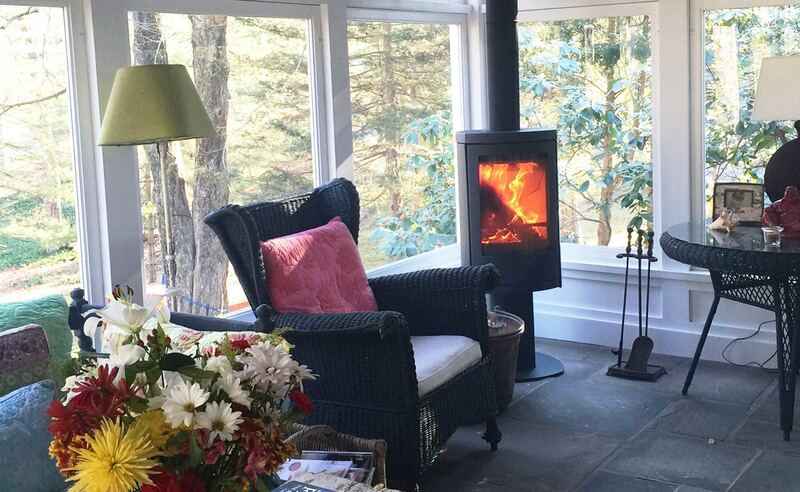 The Cosmo is undeniably energy efficient and clean burning. 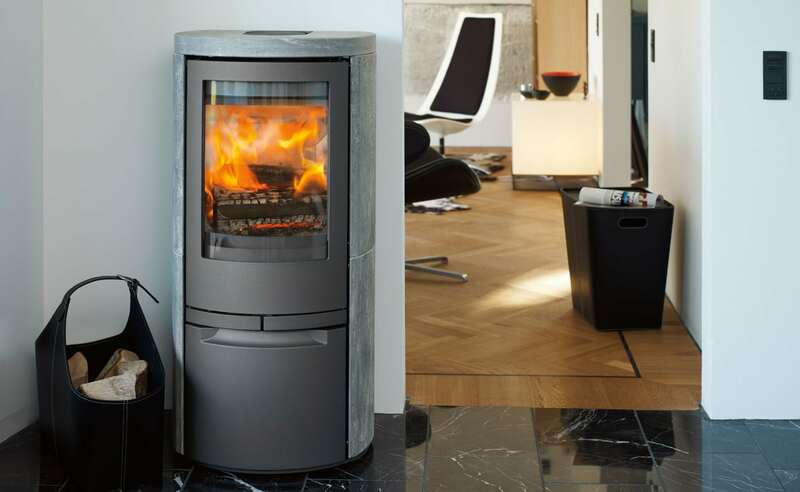 The body of the Cosmo series stoves is available in black or gray, and comes with an ash drawer tucked behind the door. 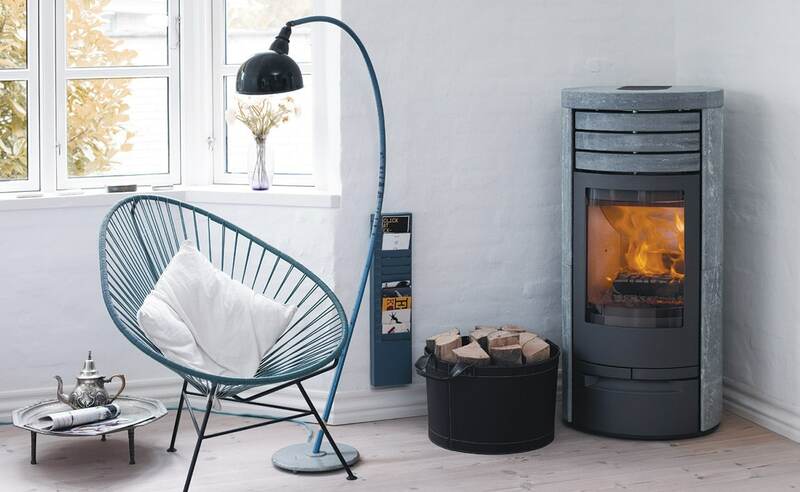 For all models other than the Cosmo Pedestal, outside air is an optional feature, and the steel door at the bottom opens to reveal a compartment for storage. 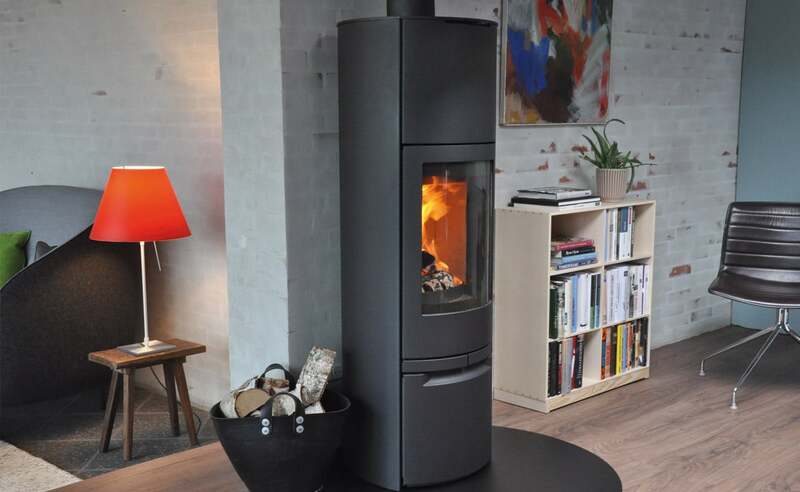 The Cosmo 1500 has a unique optional feature: a set of four heat memory soapstone blocks that can be placed in the top of the stove for convection and better heat management.